Every Friday I go into my son's fourth grade class for fact practice. 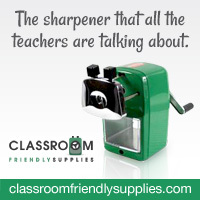 The teacher allows me to prepare my own stations--which is so much fun! This month I brought in plastic eggs and we played scramble egg multiplication facts. I used chart below to sort the eggs into different categories. In one plastic shoe box I put in the twos, threes, and fours. The fours are the pink eggs, the threes the yellow and green eggs, and the twos are the blue eggs. In the other plastic shoe box I put in the fives, sixes, sevens, eights, and hard facts. They had a lot of fun working in small groups and racing each other to see who could find all the matches first. It was also really easy to make! 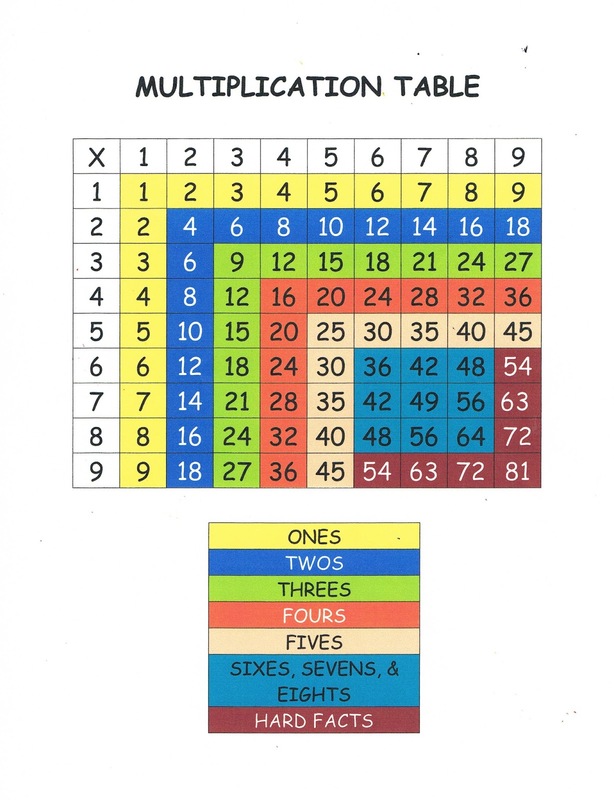 You can get a copy of this Multiplication Table from my Google Drive! 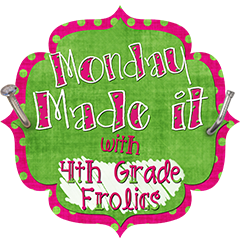 So go on over to Monday Made it--and find some other great ideas! I know I have! I love that you go in with your own activity!! That teacher is very lucky to have you as a parent! Cute egg idea!! Thank you for sharing! !